Brejo Fundeiro Retreat is holistic retreat centre to hold your group retreats, whether it is for Yoga, Meditation, Wellness, Holistic, Psychotherapy, or Spiritual retreats. Currently most groups use our venue for yoga retreats in Portugal, as we created a fully equipped yoga shala in an old barn. We require 6 students to run a retreat and can host up to sixteen students, plus the tutor. 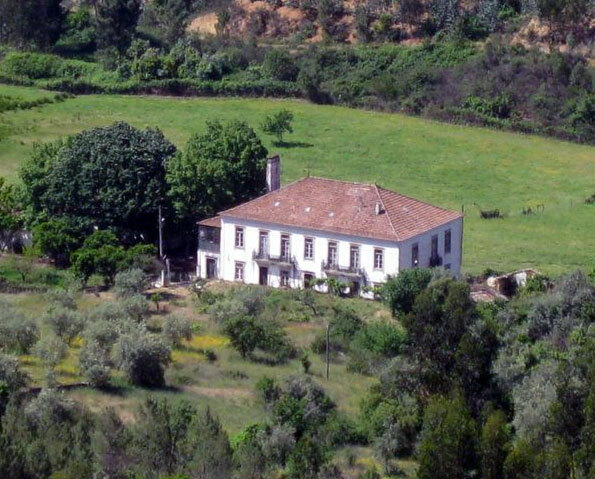 Any Tutor/organiser who brings 8 or more participants, who are investing time into their personal evolution will receive a free, full board week in a private en-suite room in rural central Portugal. We are offering you a warm welcome, caring hospitality and delicious healthy meals in relaxed and beautiful natural surroundings. Throughout this site you can find information about the hiring of the centre and the services we offer. Some arrangements are flexible and can be customised to suit your requirements to ensure a fantastic experience. Set in a tranquil location in the forested hills of Central Portugal, far away from the crowds, just 3 km from the beautiful ‘Castelo de Bode’ lake and 8 km from the small town of Cernache de Bonjardim. The centre sits within a small valley surrounded by eucalyptus, pine and cork oak trees and consists of a three storey, one hundred year old manor house, yoga studio, swimming pool, barbecue area, courtyard, small fruit orchard, herb and vegetable gardens. We provide homely boutique style living accommodation in a Manor house and bedrooms with modern facilities in authentic surroundings – Please contact us for a Tutor Information pack and various additional options to create a unique retreat experience for your Tribe.